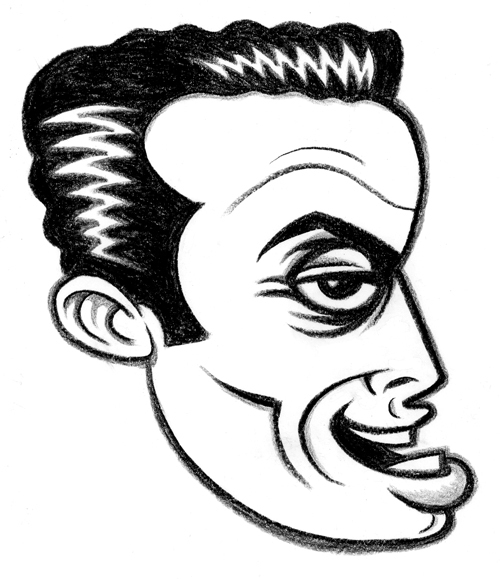 This caricature of Mr. Bruce appeared in my set of "trading cards" titled DIG! Lithographic crayon & white-out on paper; image is approx. 7" h x 5 1/2" w. "Yada yada, Warden!"